Is there anybody out there digging right now? Brrrrr, just the thought makes me want to pull the duvet snugly back around my legs as I look out of the window at the frost covered grass. To be honest there’s not a huge amount we can do outside in our gardens or vegetable plots at this time of year, bar winter fruit tree pruning. 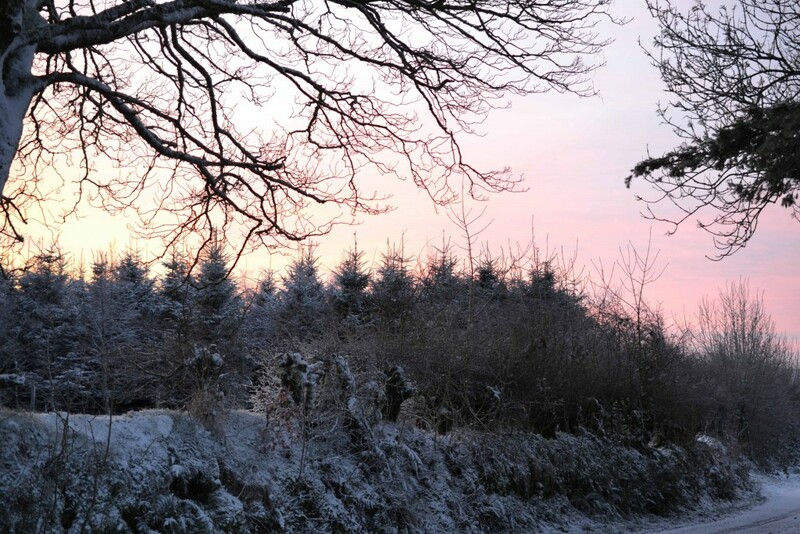 Soil should never be worked or trodden on when it’s wet or frozen as it can become compacted and it’s still too cold to plant anything outside. The following suggestions come in no particular order. Just pick which ones take your fancy. 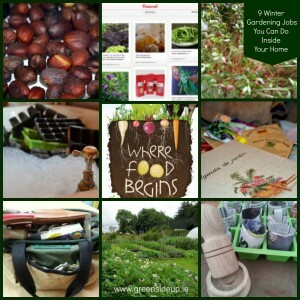 If you do manage to spend a bit of time preparing for your spring garden now, you’ll find that all the gardening jobs will be much easier when you do begin work in earnest. I’ve yet to work with a group that kept their seeds in a tin until I met them. Most produced plastic or paper bags full of packets and it’s something I used to do until I found that it might be the reason my seeds weren’t germinating. If you want to get the best from your seeds, they need to be kept in an airtight container in a cool environment – not stuffed in a kitchen draw, which is where I used to keep mine. To make a seed box, all you need is an airtight container, preferably rectangular or square (empty biscuit or chocolate tins are ideal) some cardboard dividers with the months written on them to help you organise your planning dates and some brown envelopes for collecting stray seeds or broken packets. Here’s a post explaining why it’s important to keep seeds in a container. While you’re sorting out your seeds, you might notice that some are out of date. Don’t throw them away, they might still be viable. Click this link for details on how long some of the more popular flower and vegetable seeds last as well as how to do a simple germination test to check their viability. 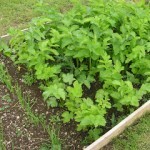 Choosing the vegetable plants you want to grow at the beginning of the year can be fun. 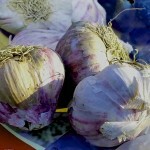 It can also be a bewildering headache if you’re not sure what will grow best in your garden. 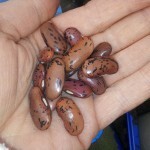 Fortunately seed shopping has become much easier now we can buy online, allowing us to choose seeds from the comfort of our homes. 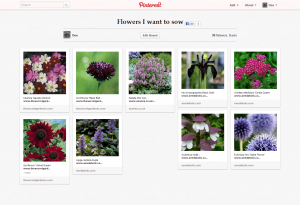 I’ve used Pinterest to help me with this in the past and I’ve also written a post that explains some of the factors you need to take into consideration when chosing and buying seeds, such as how much time you have to garden, how much space, soil and aspect conditions as well as pests and diseases. Check out the links above for more information. January is a great month for sorting out the tool bag and if you don’t have one, I’d recommend you put one together. There are so many sales on in January that if you’re missing anything, now could be the time to buy or replace it, before you need it. Here’s a post I wrote a couple of years ago showing the contents of my tardis like bag. 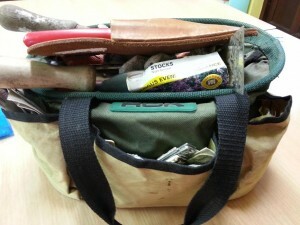 Tool bags make gardening life so much easier and I get a great buzz of excitement every time I rediscover mine in the springtime. This job was always rock bottom on my gardening ‘to do’ list but it’s such an important one if you want to avoid spreading pests and diseases around your own or your friends’ gardens. 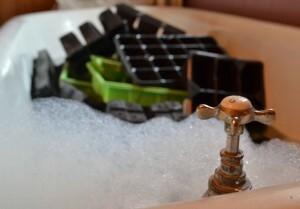 Fortunately I was given a great tip that can almost make washing your pots a fun task – just throw them all into a bath tub. Here’s a short article explaining how to wash and sterilise your pots and the reasons why we should do it. 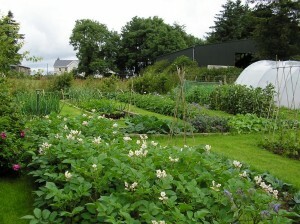 If you’re growing organically or without chemicals, crop rotation is vital but it’s still a practice that confuses many. 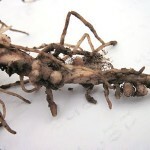 There are four main reasons why we rotate crops. These include preventing pests and diseases building up in the soil, crops benefit one another that are grown together, crop rotation prevents nutrients being drained from the soil and it makes it easier to look after plants grown in the same families if they’re rotated together. If you’re starting from scratch or didn’t add organic matter to your vegetable garden in the autumn, you’ll need to do so within the next couple of months. 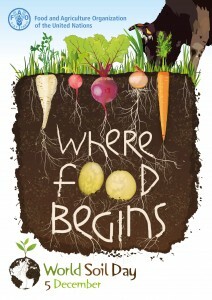 If we’re taking something out of the soil, we need to replace it. 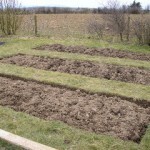 Adding well-rotted organic matter to soil such as animal manures, leaf mould, comfrey and nettle fertilisers, homemade compost or green manures not only helps to add nourishment to soil and increase plant health, it also helps with soil structure and texture which will improve soil erosion and drainage, helping to prevent vital nutrients washing away. Now is a great time to look in the local small ads or find a local stables or farmer who can supply you with manure. You might also begin to source some green manure seeds for spring planting or to begin composting, if you’re not already doing so. 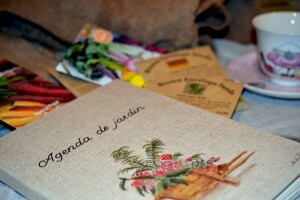 Keeping a gardening diary is one of the cornerstones to learning your gardening craft. It’s very easy to forget where we planted something, what variety we grew or how well it grew for us. I’ve learnt so much from my mistakes and my diary has helped me to keep track of everything over the years. You can read more about the importance of keeping a diary here. Microgreens have been the buzz word in the food and gardening industry for a couple of years and they’re very easy to grow indoors. 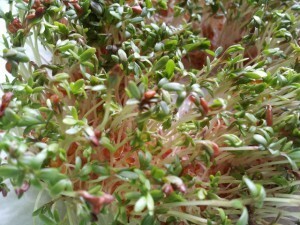 There’s nothing fancy about Microgreens. 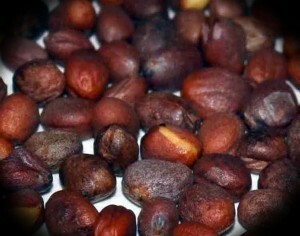 They are simply seeds that are grown in compost or a soilless medium (anyone remember growing cress in cotton wool?) then harvested as seedlings when they have just four tiny leaves. The seedlings are usually a combination of salads, herbs or Brassica and if you can’t find them in your local garden centre, you’ll find packets of mixed seeds online. 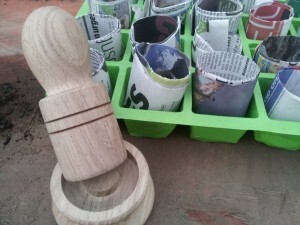 Definitely a job for a warm kitchen table, making newspaper seed pots is a great way of upcycling and a money-saving exercise too. You can either use a special paper potter, as I’ve done in this YouTube clip, or use a small plastic bottle as a mould. Once the paper pots have been made, they can be stored in a dry place until you’re ready to fill them with compost and pop seeds into them. All of that said, January shouldn’t just be about sitting inside and planning. Getting outside at any time of the year helps us to reconnect with nature and is particularly good for the wintertime soul once we’re wrapped up, warm and dry. If it’s not too windy or icy and you can get out for a walk, I’d recommend you do so. You never know what you might be missing and I’m not just talking about the exercise. 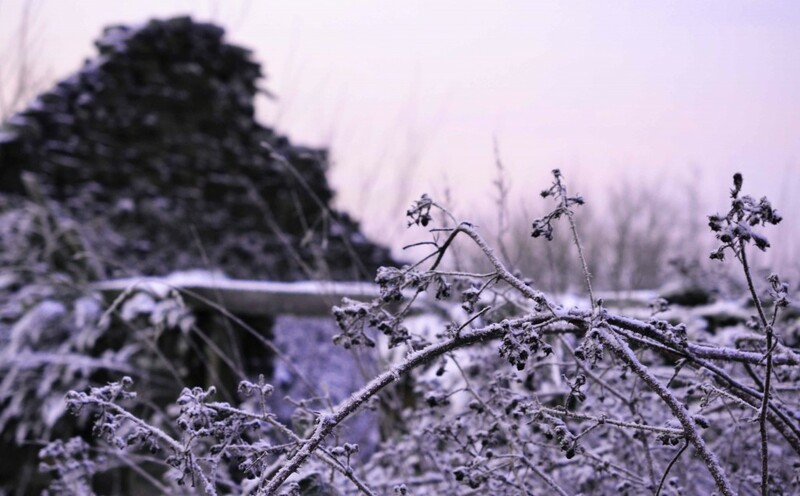 Have you any more tips for winter gardening jobs we can do in the warmth or are you a hardened gardener who’s outside at every opportunity? Nice list, I love those paper pots, I assume I can make a version without that lovely tool that you have? Good list Dee, hopefully if I do this I will actually grow something this year. 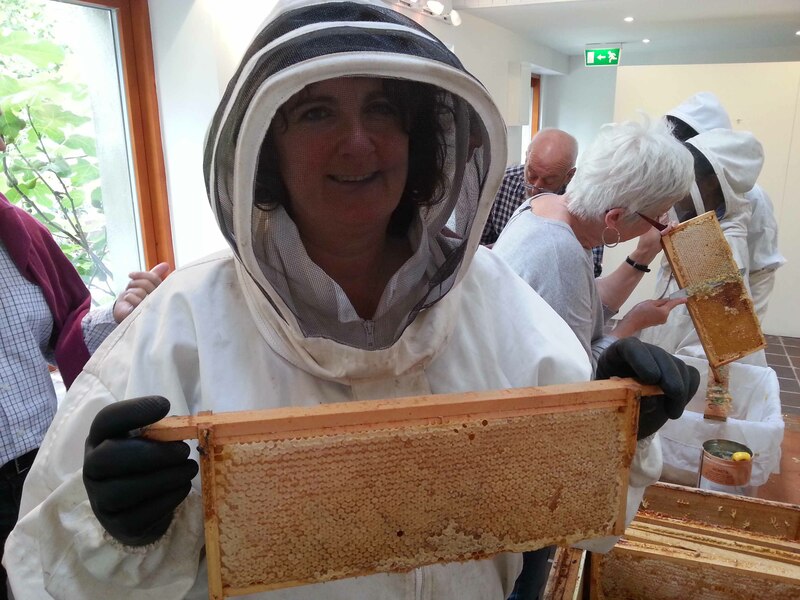 Thanks Sue, delighted to have helped and yes, same with the wet cold pot washing in the past! Best of luck with your RHS course. Same was drummed into us and it wasn’t till I got red spidermite in my tunnel that I truly understood why we had to do it.